Cavities are among the most common issues in regards to dental care; causing pain, discomfort, and further complications. They can be caused by poor diet or hygiene, or even by other underlying health issues. No matter the reason for your cavity, it’s essential to get it taken care of before the problems worsen. But how do you know if you have a cavity? Keep reading to learn about all the signs and symptoms of a cavity, to help keep your mouth healthy and clean. This is often one of the first signs of a cavity and is also considered the most-common. Pain can be mild to severe and is caused by the deterioration of the nerve cells in your teeth. When a cavity begins to form, these nerve cells become damaged and can become very painful. Cavities can cause pain when you eat or touch it, and the pain is usually focused around the tooth that is affected. Onset: At first, you may experience pain directly in the tooth that is developing a cavity. This pain is an indication that a hole or deterioration is beginning within the tooth. As time goes on and the issue spreads, you may experience pain in the areas surrounding the affected tooth. When a cavity has begun to form and nerve cells are damaged, it can affect the entire tooth. Feeling pressure around or on the tooth is a common symptom when you’re wondering, how do you know if you have a cavity? There are times when a tooth may become agitated for other reasons and cause pain, but when you feel pressure when biting down or throughout daily activities, you may have a cavity. Onset: As pain and discomfort begin, the tooth and surrounding area can become inflamed or swollen. This can also be said for the interior of your tooth, which explains why you feel pressure in or around the affected tooth. In our how do you know if you have a cavity discussion, pain and pressure are among the first two signs. A common sign of a cavity is the unexplained appearance of a toothache or sudden appearance of sensitivity. This could mean that your tooth becomes sensitive to temperature or even certain foods, like sweets. This symptom typically can also be associated with pain, since sensitivity can become extremely painful as the tooth deteriorates more. Onset: When a cavity forms, it affects the tooth’s nerves. These affected nerves can sense the change in temperature and make you feel the difference when you eat or drink something hot/cold. If you start to experience sensitivity to certain things, it could be the result of a cavity that has reached your nerves. You or your dentist may be able to notice visible holes on your tooth. A cavity happens when buildups of bacteria in the mouth harden and begin to eat away at your tooth. The breakdown causes physical symptoms and then visible ones in the form of holes or pits. As the cavity gets worse, the hole can get larger and larger. Onset: After the cavity has set in, it begins to deteriorate the tooth. Pits and visible holes are only seen when the cavity is advanced enough that it has eaten through the tooth. Visible holes or pits are usually the symptoms that forces people to seek attention, though a cavity should ideally be taken care of before this stage. Where some people may notice visible holes or pits, others notice discoloration, stains, or spots. Sometimes a spot may be soft or sticky, because of the deterioration that’s occurring. These spots can be black, brown, or even white, though the darker the color, the worse the cavity is. Onset: This sign can come before or after holes and pits. As pain and sensitivity worsens, colored spots can appear as a sign of deterioration. 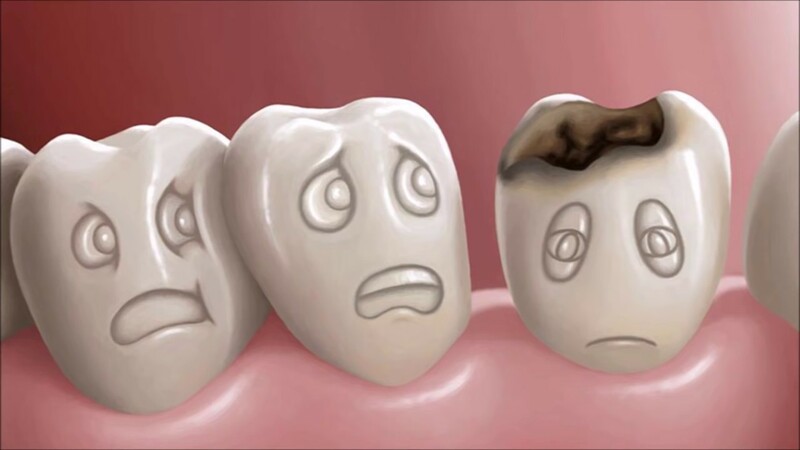 As a cavity progresses, it can turn an entire tooth black or brown. How do you know if you have a cavity? If there’s ever pus or fluid surrounding a tooth, it’s a clear indication that your tooth is infected with a cavity. As the cavity moves through your tooth, it becomes infected. Your body’s reaction to an infection may be to form pus. While pus is your body’s way of getting rid of bacteria, it’s a clear indication that it’s fighting off deterioration. Onset: Pus or leaking fluid is considered one of the later symptoms, since a cavity must be around for a while to cause such an infection or obstruction. If you notice pus, you may notice other teeth have started to become affected as well. This symptom made it to the list, though only a portion of people with cavities report experiencing this sign. Cavities are small, infected holes that make for ideal breeding grounds for bacteria and holding food particles. This can cause odor and/or a bad taste in your mouth. 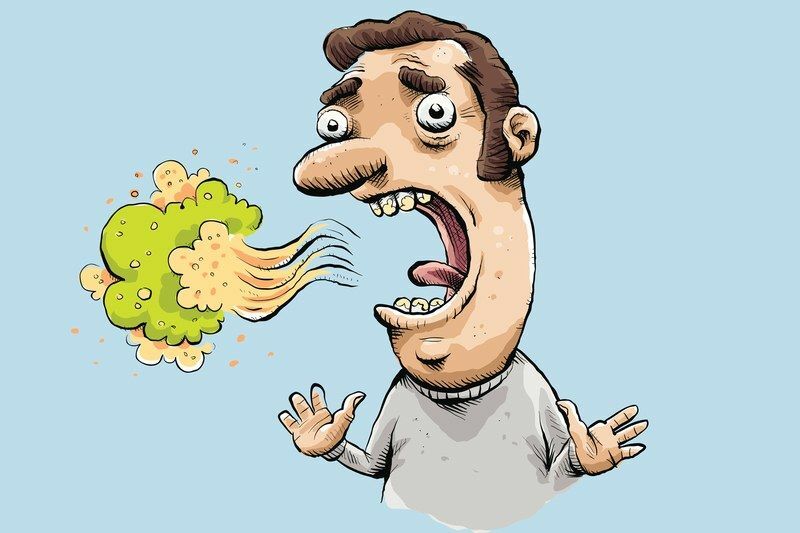 Though there are other reasons you may have bad breath, it’s a clear indication of tooth-issues including cavities. Onset: Since bad breath is also a sign of gum disease, this is often a symptom you experience later on in the forming of a cavity. This usually only happens after food and bacteria have had the opportunity to sit and fester inside of the cavity. Plaque forming. Plaque is the clear, sticky film that coats your teeth after eating. When you don’t clean your teeth well, this plaque stays on your teeth and hardens. As it hardens, it turns into tartar, which makes plaque more difficult to remove and becomes a shield for the growing bacteria. Plaque attacking. As plaque gets stuck on your teeth, it removes the minerals in your tooth’s outer enamel. This removal causes holes or tiny openings, which allows bacteria to reach the next level your tooth. When bacteria reaches this level, it starts to affect the nerve. Destruction. As the bacteria furthers its destruction, it moves through the teeth to the inner tooth material which contains nerves and blood vessels. The tooth becomes swollen, irritated, and causes immense pain. The bacteria can begin to spread. These signs and symptoms will help you determine the truth the next time you’re asking yourself, how do you know if you have a cavity? If any of these symptoms applies to you, consult your dentist right away for treatment. Which one of these signs did you experience first?